From the publisher: Sheriff Jeff McQuede finds pampered cat King Henry in the midst of a crime scene. The cat, who belongs to Sammy Ratone, is the only witness to a burglary. McQuede, unable to locate Sammy, takes King Henry home with him where the cat creates endless mischief. 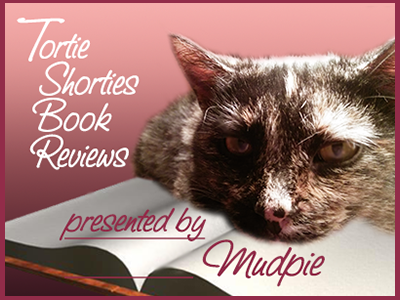 Tortie Shorties Review: This is a series I wasn't familiar with and most likely not one I would gravitate towards if not for the cat on the cover and in the description. 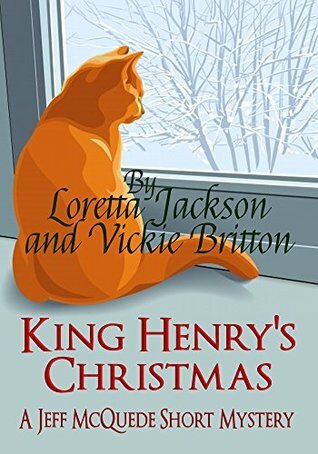 I found it to be a fun, short read and enjoyed the mystery as Sheriff McQuede attempts to solve a string of robberies at Christmastime, but the best part is when he takes home the big orange tabby belonging to one of the victims. King Henry is a hoot and the only witness to the crime...will he lead the sheriff to the culprit or just cause him more trouble? From the publisher: When Holly White’s fiancé cancels their Christmas Eve wedding with less than two weeks to go, Holly heads home with a broken heart. Lucky for her, home in historic Mistletoe, Maine is magical during Christmastime—exactly what the doctor prescribed. Except her plan to drown her troubles in peppermints and snickerdoodles is upended when local grouch and president of the Mistletoe Historical Society Margaret Fenwick is bludgeoned and left in the sleigh display at Reindeer Games, Holly’s family tree farm. When the murder weapon is revealed as one of the wooden stakes used to identify trees on the farm, Sheriff Evan Grey turns to Holly’s father, Bud, and the Reindeer Games staff. And it doesn’t help that Bud and the reindeer keeper were each seen arguing with Margaret just before her death. But Holly knows her father, and is determined to exonerate him.The jingle bells are ringing, the clock is ticking, and if Holly doesn't watch out, she'll end up on Santa's naughty list in Twelve Slays of Christmas, Jacqueline Frost’s jolly series debut. Tortie Shorties Review: For Christmas crazy people like me this series is a dream come true with a farm called Reindeer Games (with real reindeer) in the town of Mistletoe and a protagonist named Holly with her cat Cindy Lou Who. It's simply everything a Christmas cozy should be. As a matter of fact, I think you could read it on the 4th of July and instantly find yourself in the holiday spirit! The mystery of how the local historical society Scrooge is found dead, clobbered with a wooden stake from the tree farm and left in a sleigh on the grounds, is complex and suspenseful. The characters are well-developed and I especially enjoyed Holly's close knit family and the descriptions of the fun Christmas activities they've created for the tree farm. Could someone book me one-way ticket to Mistletoe, please? 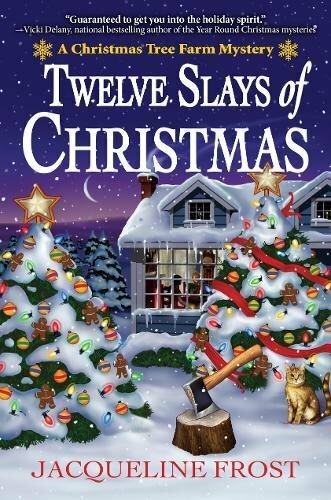 I received a free copy of Twelve Slays of Christmas from the publisher for review. This post contains affiliate links. I love that you are reviewing Christmas books today! I took our Christmas decorations down this weekend, and now I'm in Christmas withdrawals. Readings these reviews made me quite happy, and I'm thinking I'll be reading these books very soon. And I just love the cover of Twelve Slays of Christmas. It looks so festive and cozy (well, except for the axe, but that's perfectly all right)! Those both sound great! I bought The Twelve Slays of Christmas to read during the holidays but then didn't have time for it. Guess it's really not too late though! Thanks, Melissa (and Mudpie). I definitely need to read Twelve Slays of Christmas! With a name like King Henry, who could pass up taking that cat home! Those sound like good books! We love the cover of the King Henry's one. It's gorgeous!